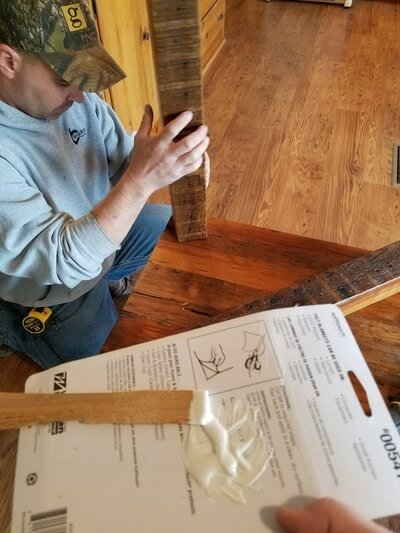 B - Barnwood, Barnwood Everywhere! 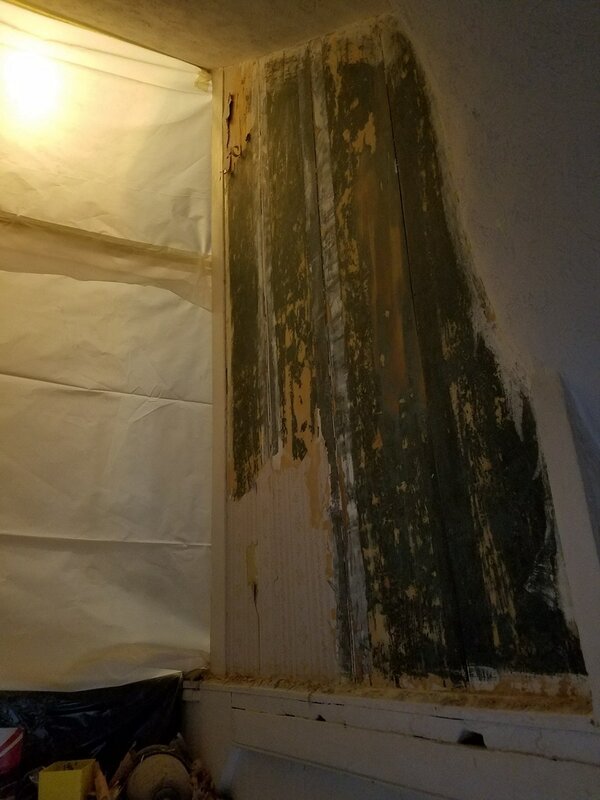 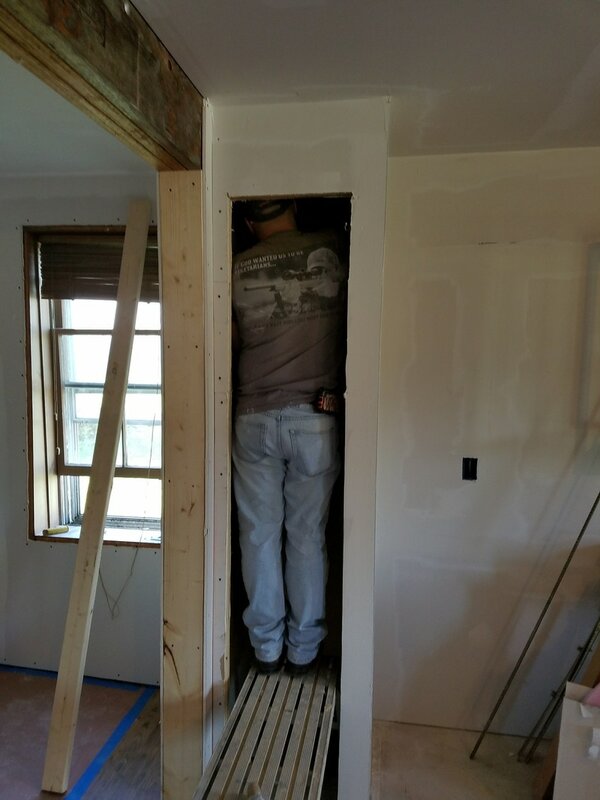 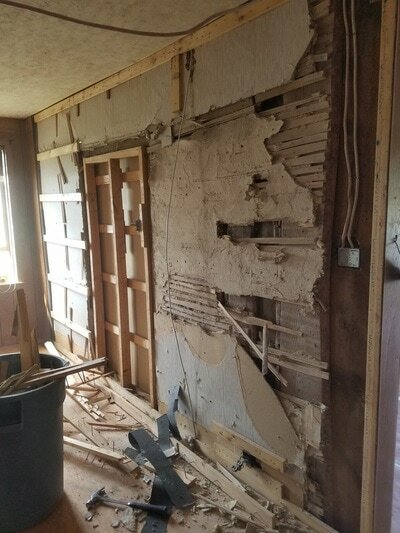 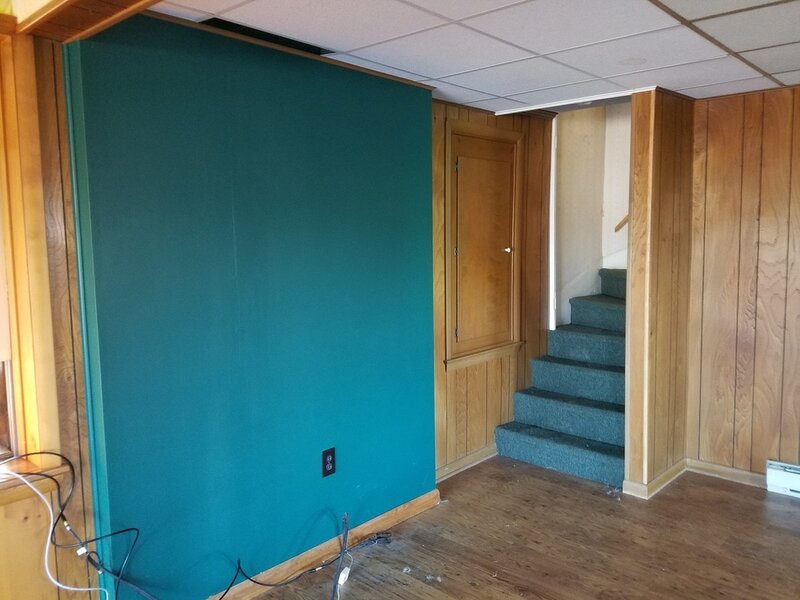 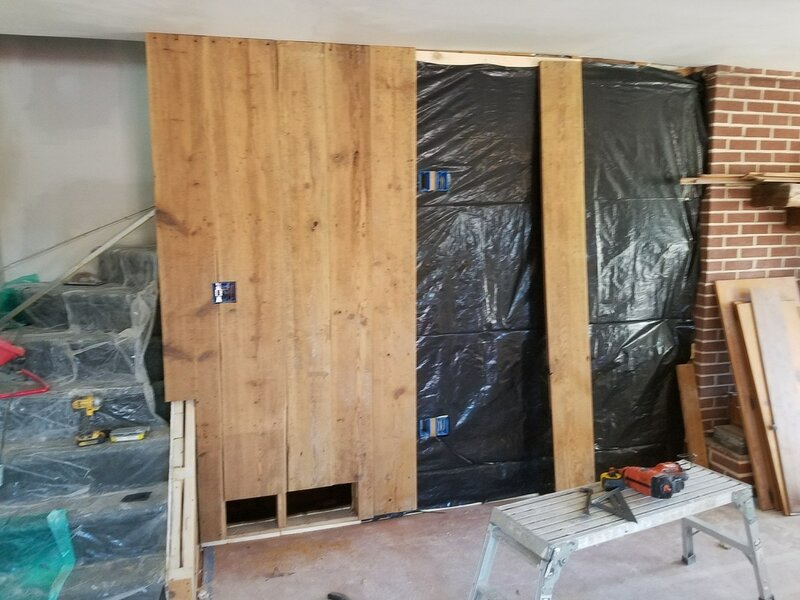 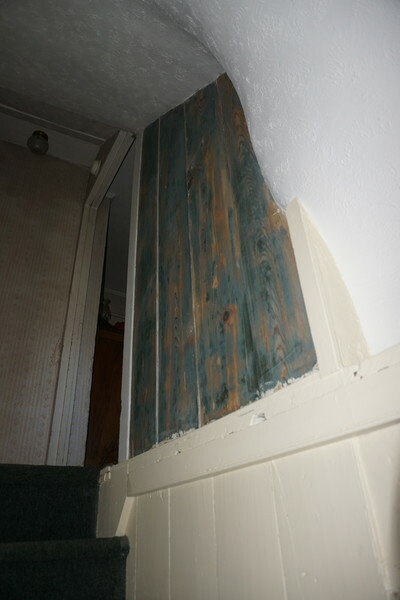 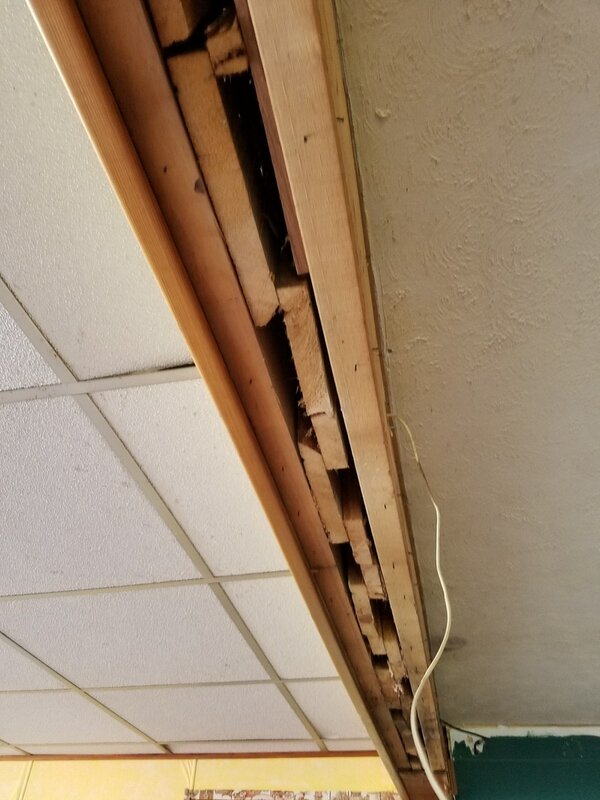 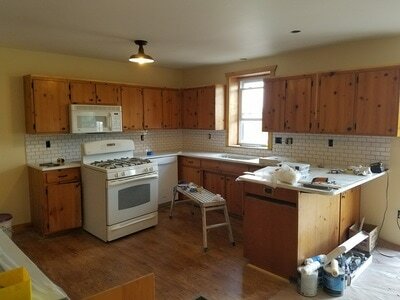 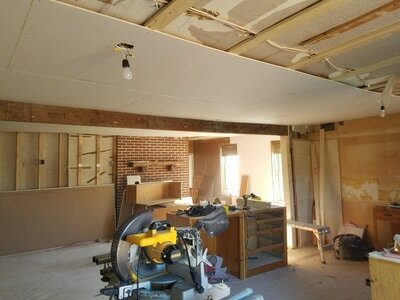 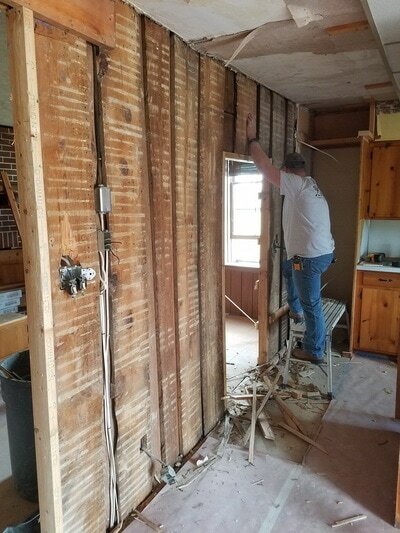 We knew as soon as we started this renovation, that quality was hiding behind these walls! With over 166 years of history, we wished the walls would talk! 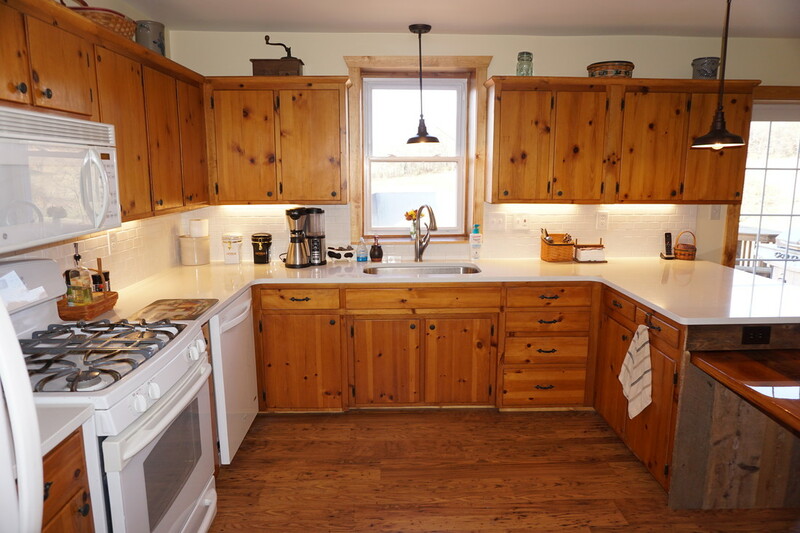 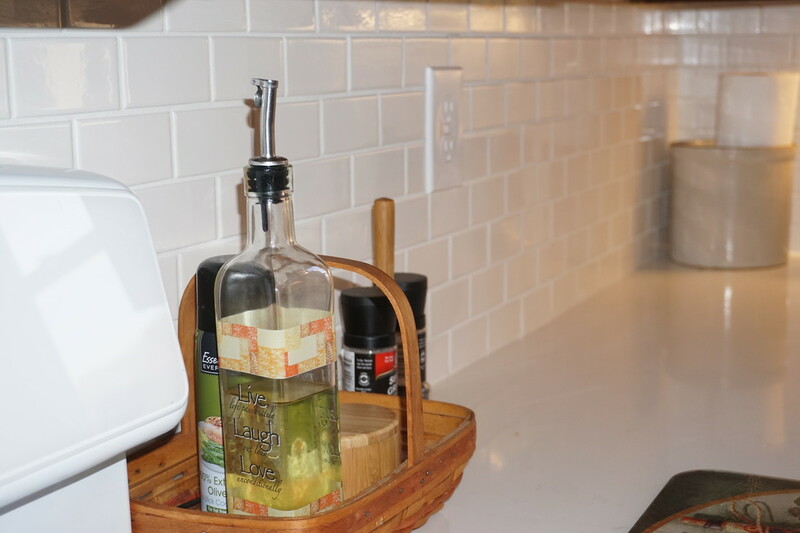 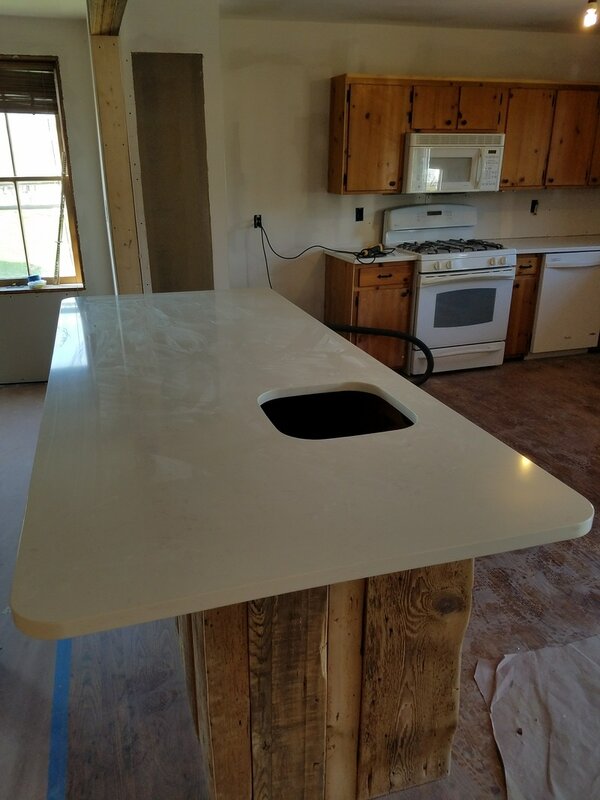 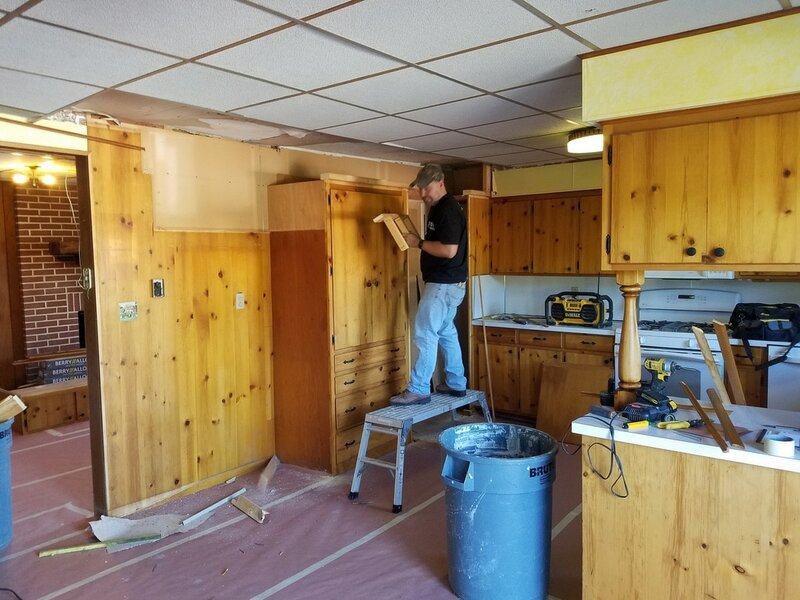 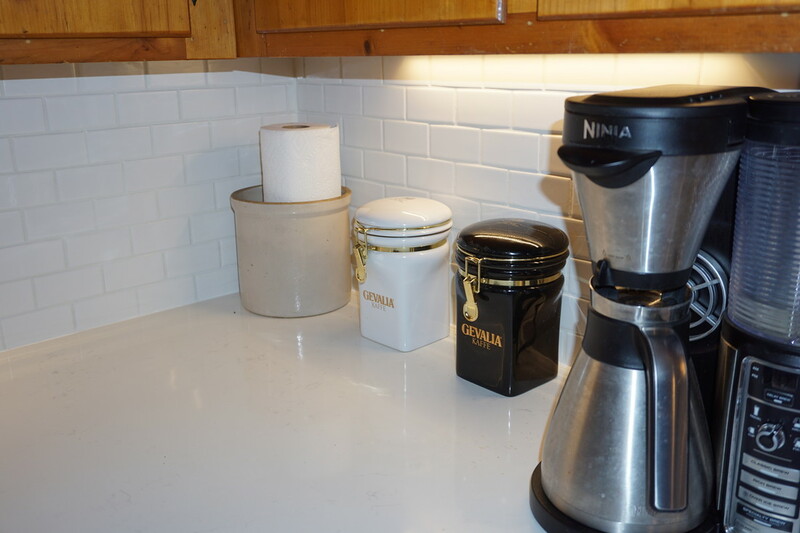 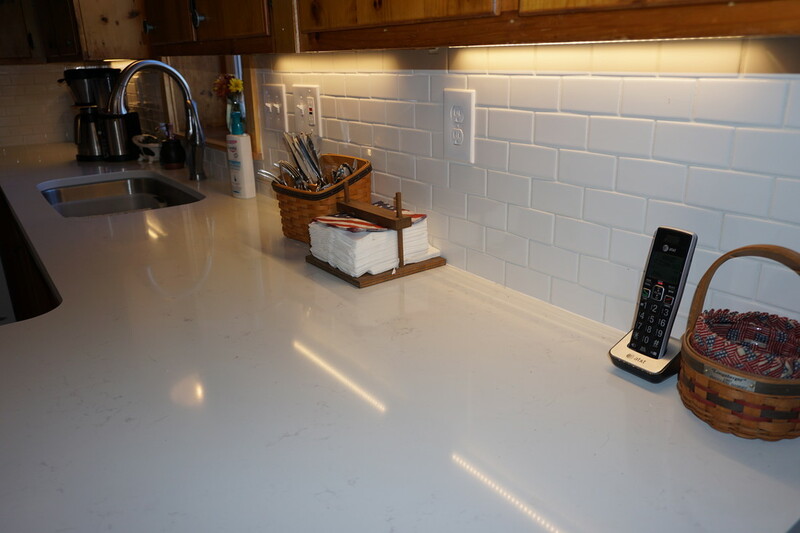 One of the challenges of this project included redesigning the existing kitchen cabinets layout - moving and resizing some of the existing built-in kitchen cabinetry. Also, repurposing was high on the priority list for these sixth generation homeowners, since most (if not all) of the lumber used to build the original house was chopped down around the very land the house stands on. 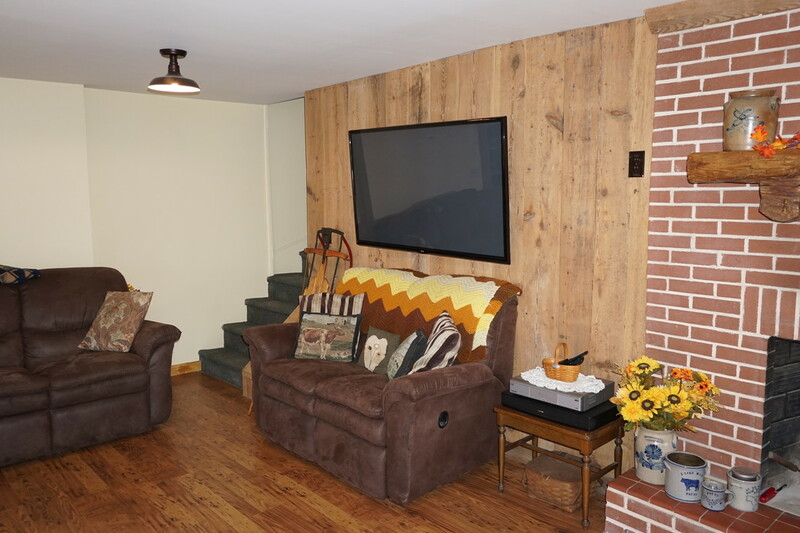 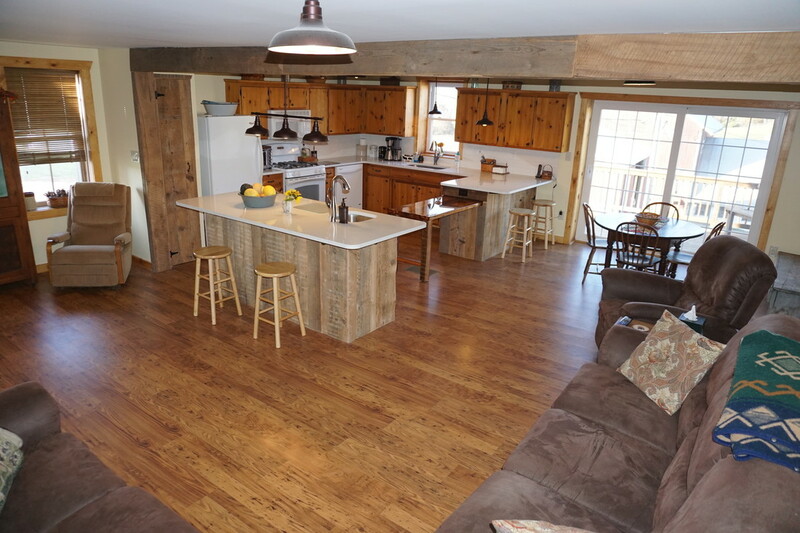 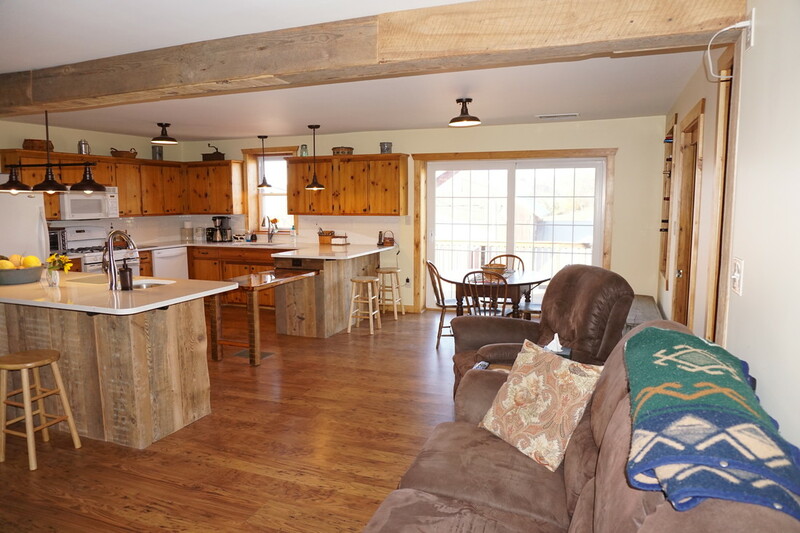 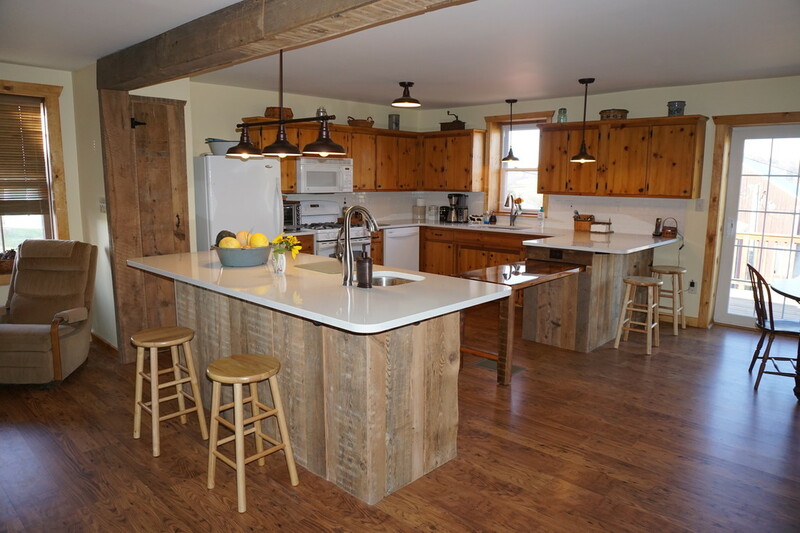 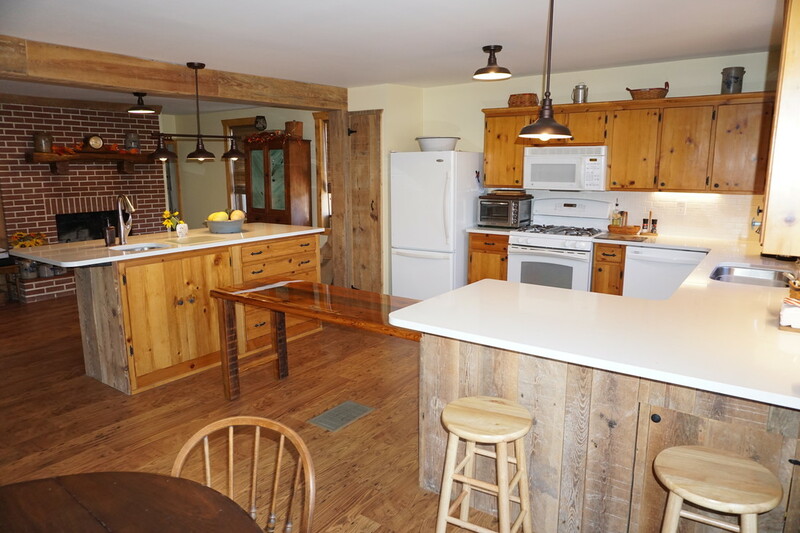 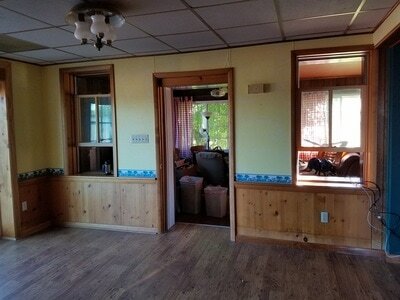 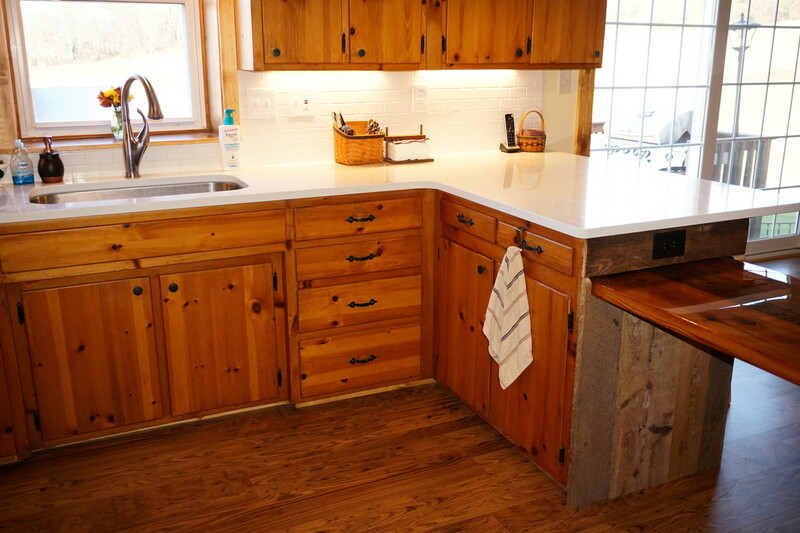 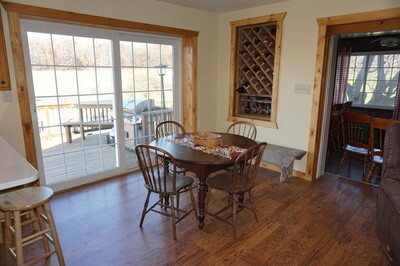 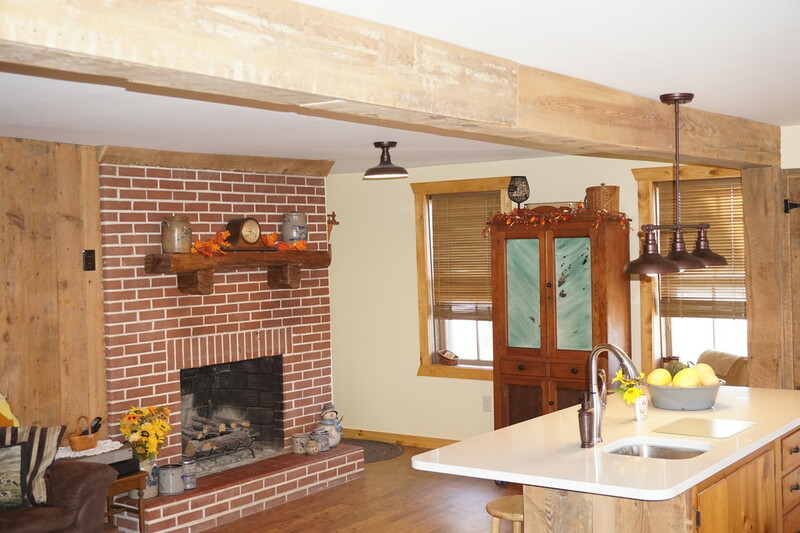 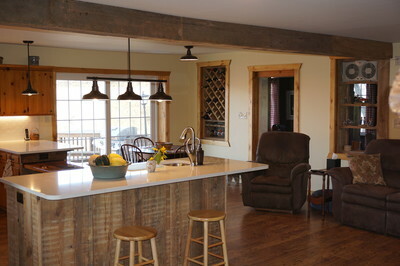 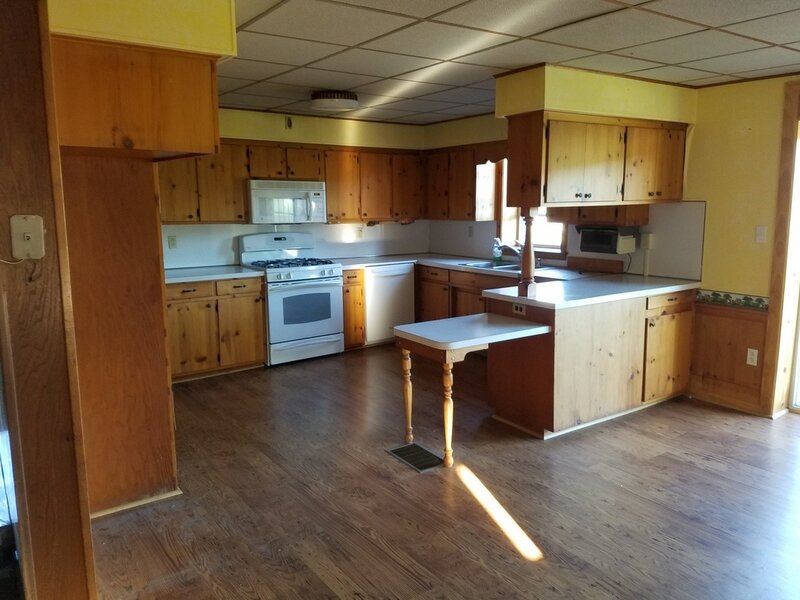 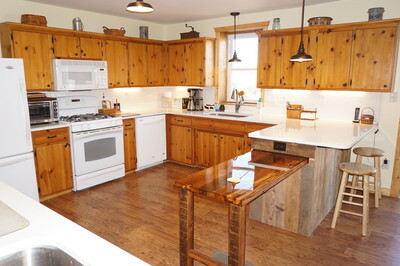 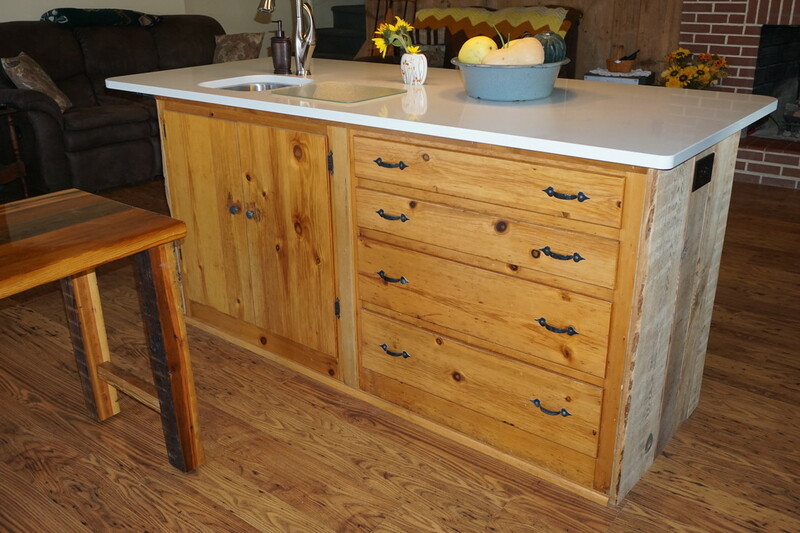 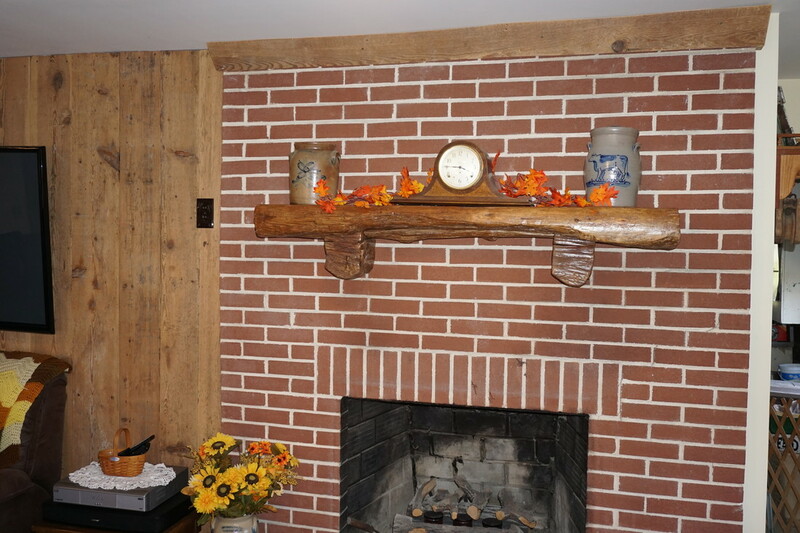 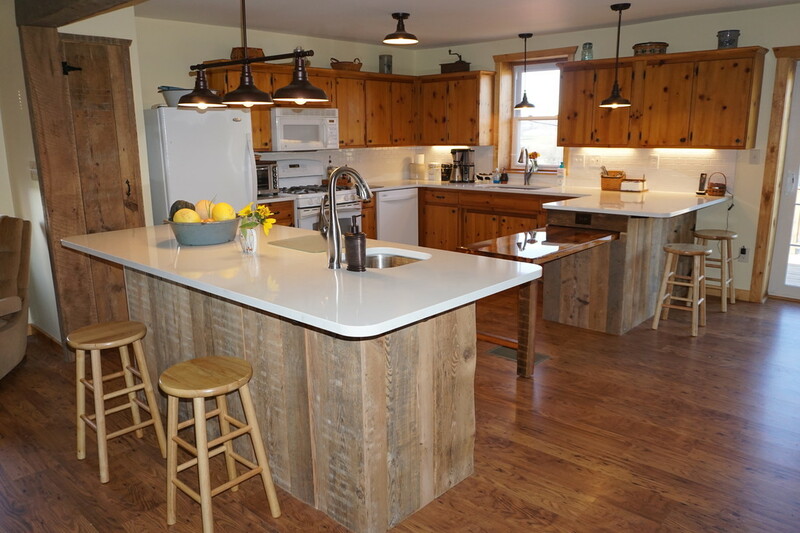 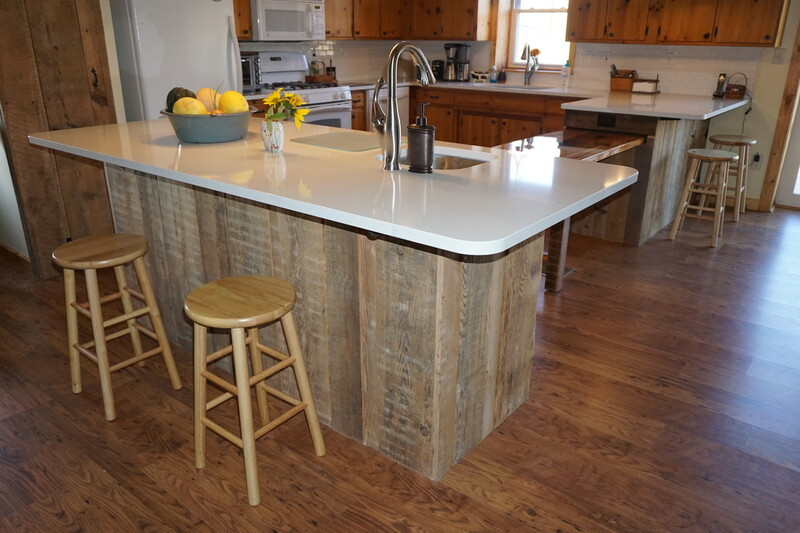 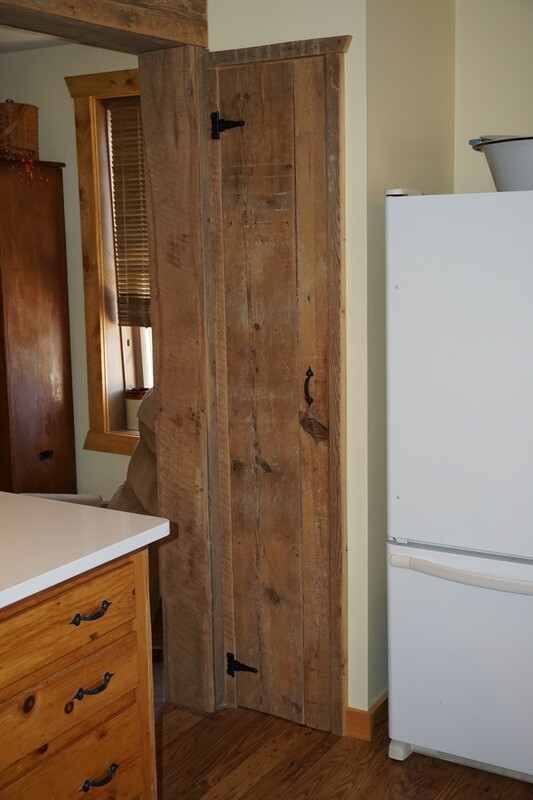 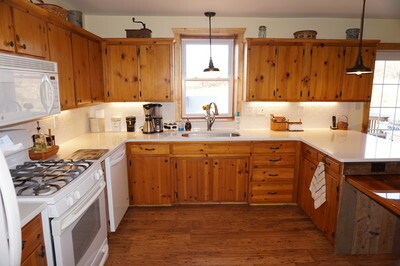 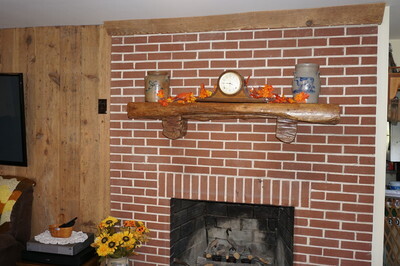 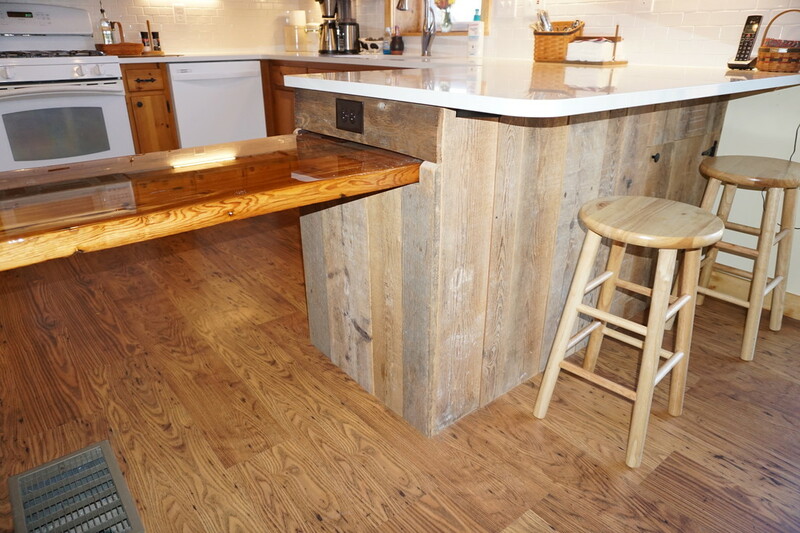 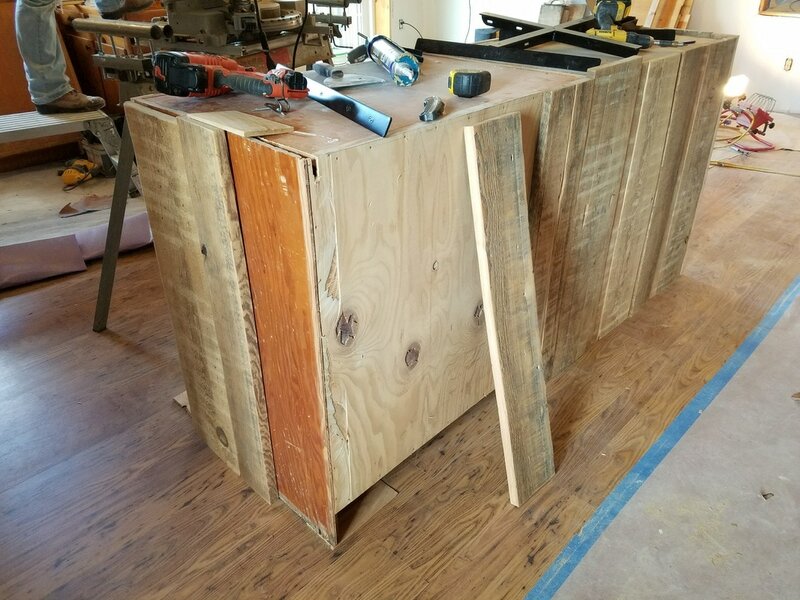 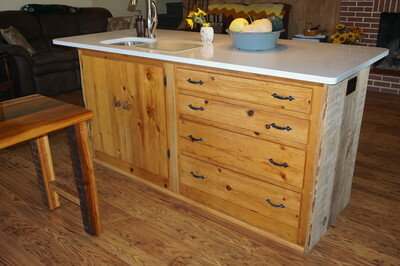 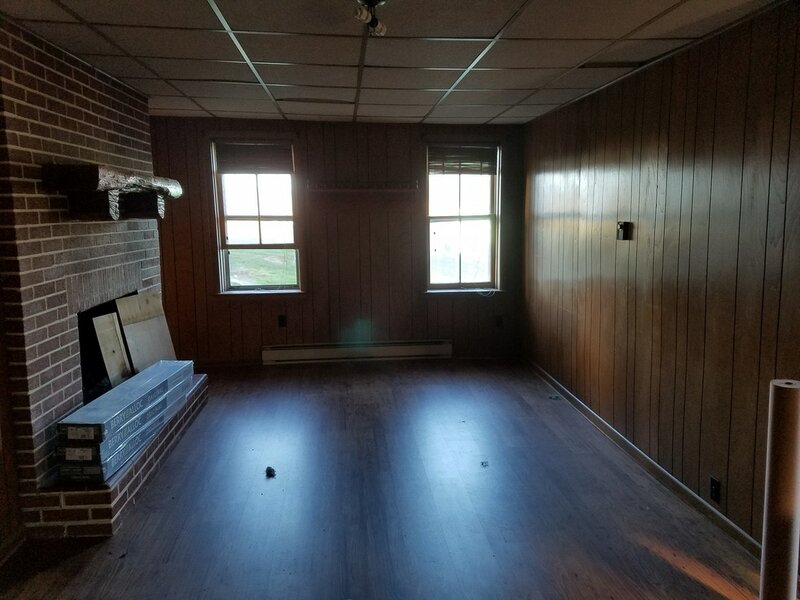 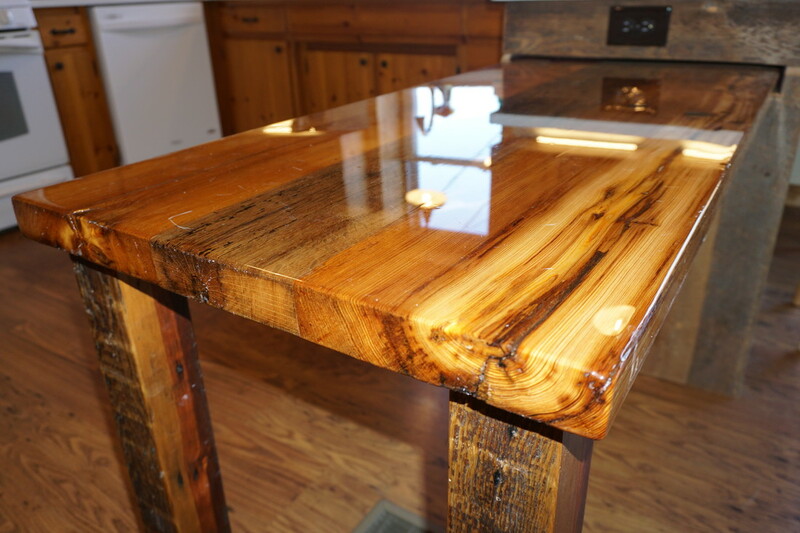 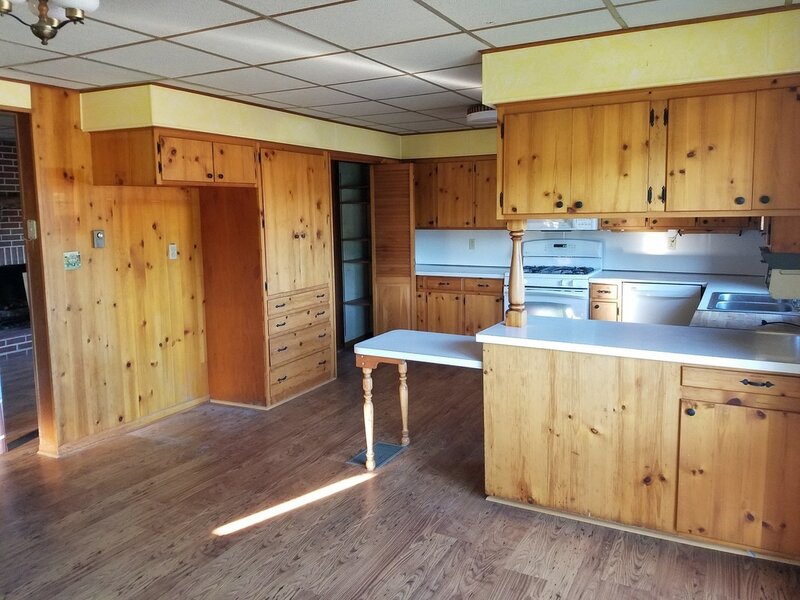 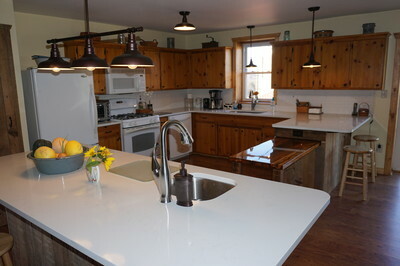 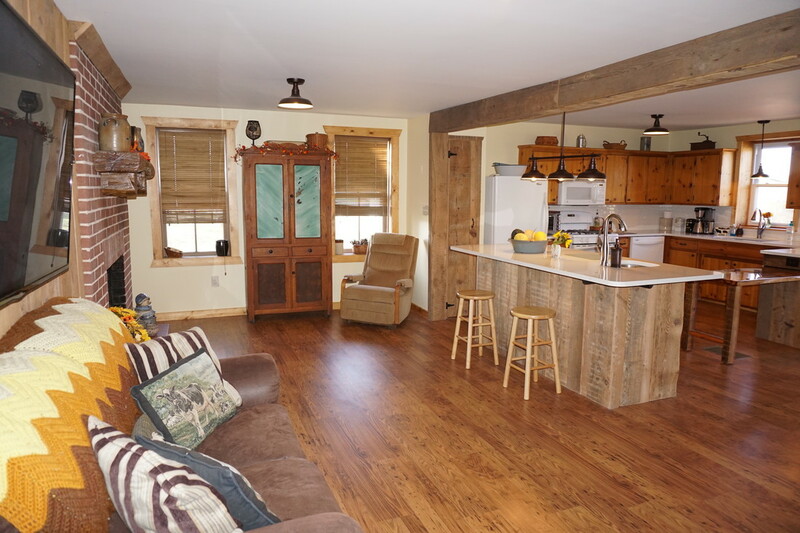 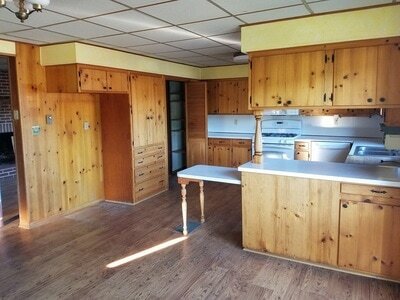 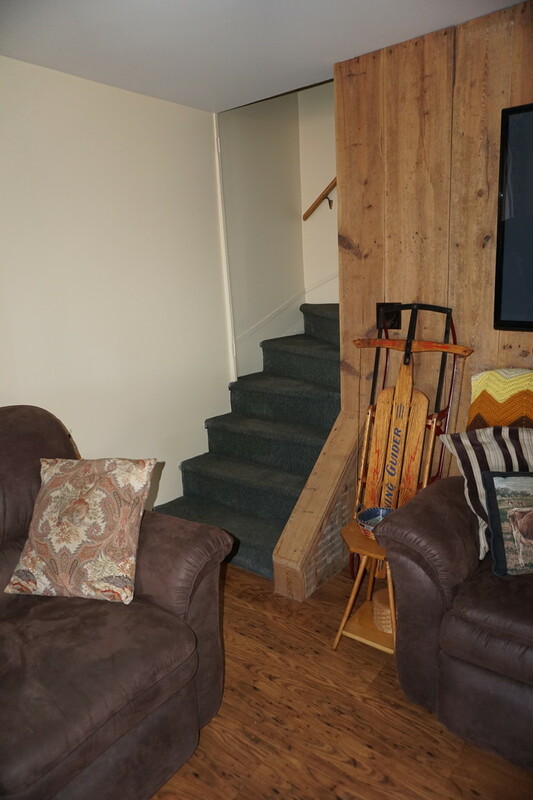 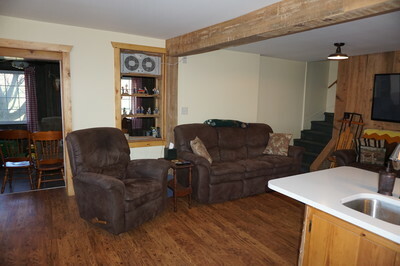 The "new" barnwood that accents the island and peninsula, pantry door, beam and accent wall behind the television came from both inside the wall we tore down to open the kitchen and living room areas, as well as from the old grainery at the farm. 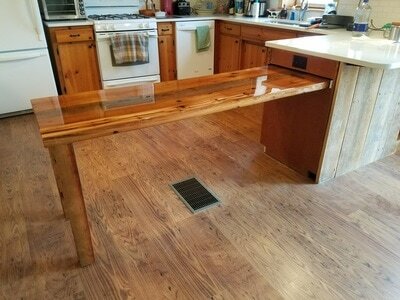 The pull out table is a special treat! 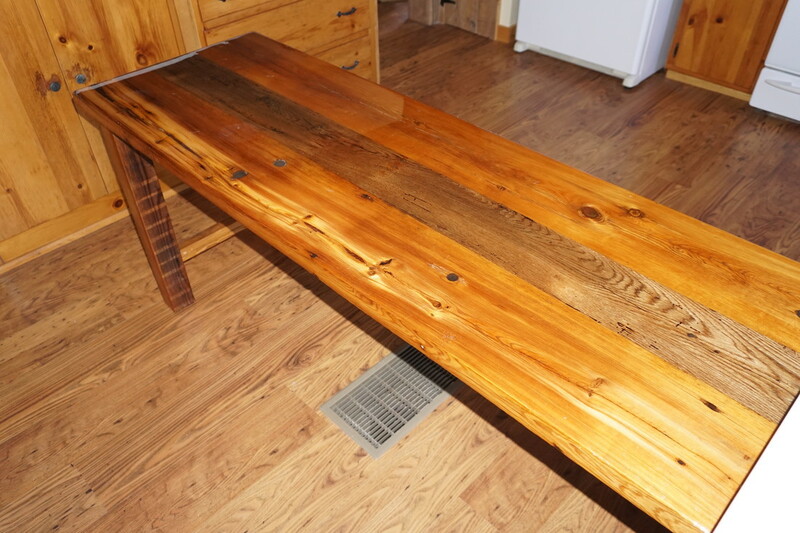 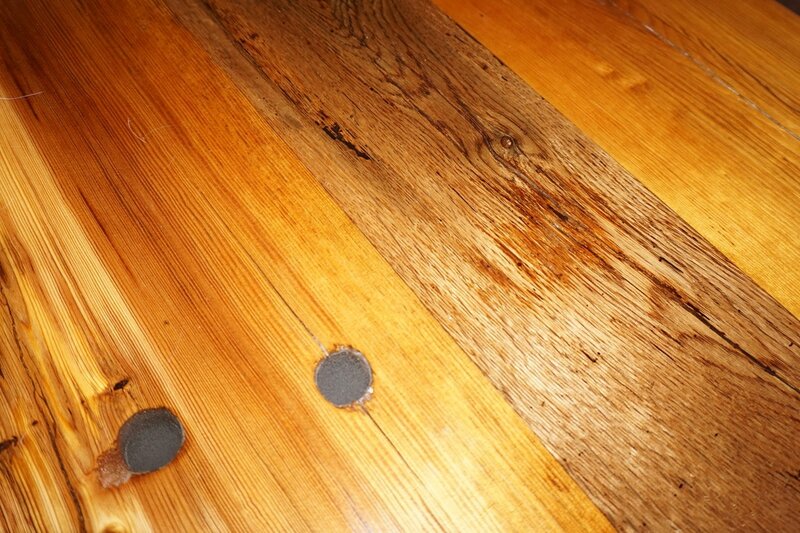 We used old barn floor boards (fresh off the farm of course!) 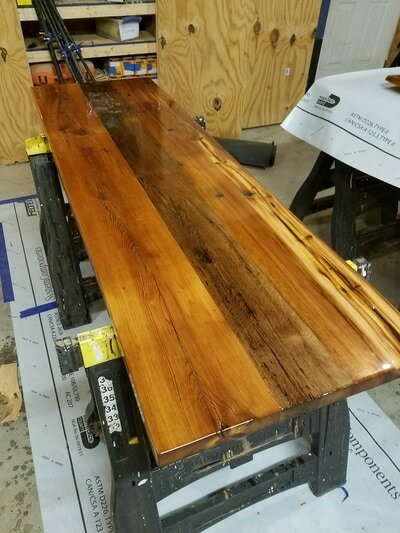 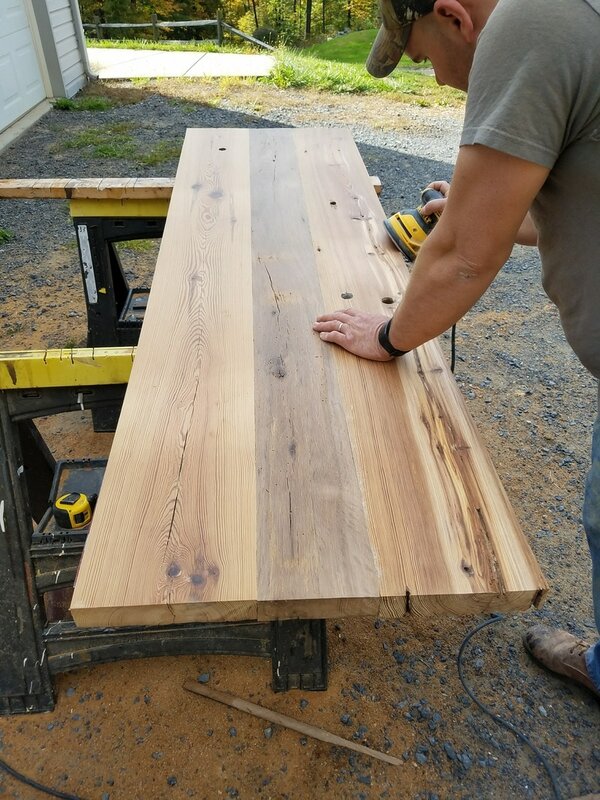 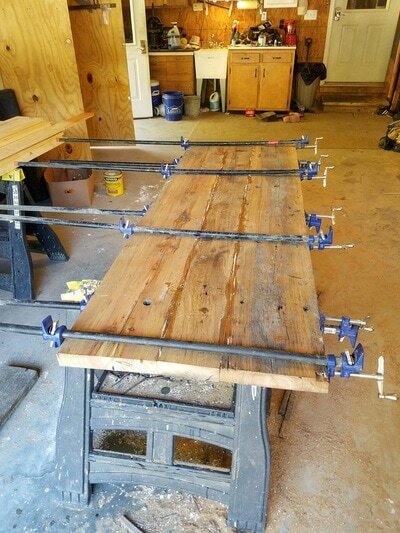 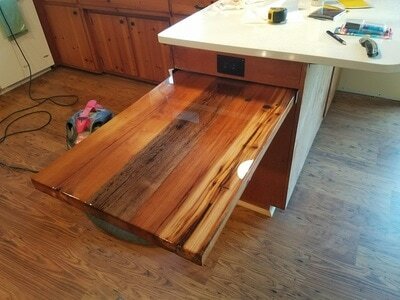 to custom build this 6' long pull out table. 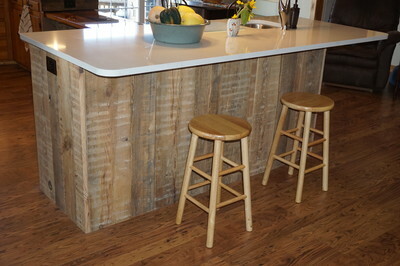 It is made from chestnut and black walnut 2" thick boards. Taking special care to preserve the effects of the existing holes and "history" within the wood, we prepared and epoxyed the top and legs. 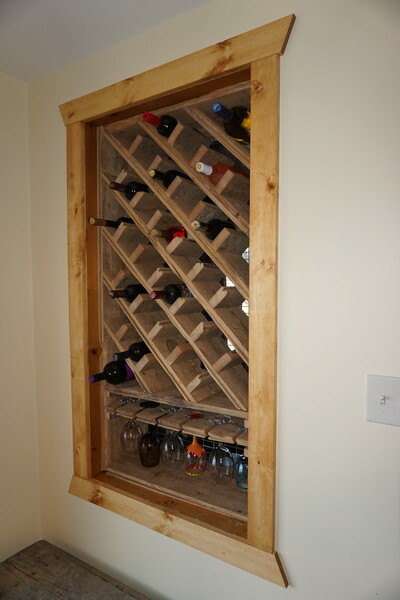 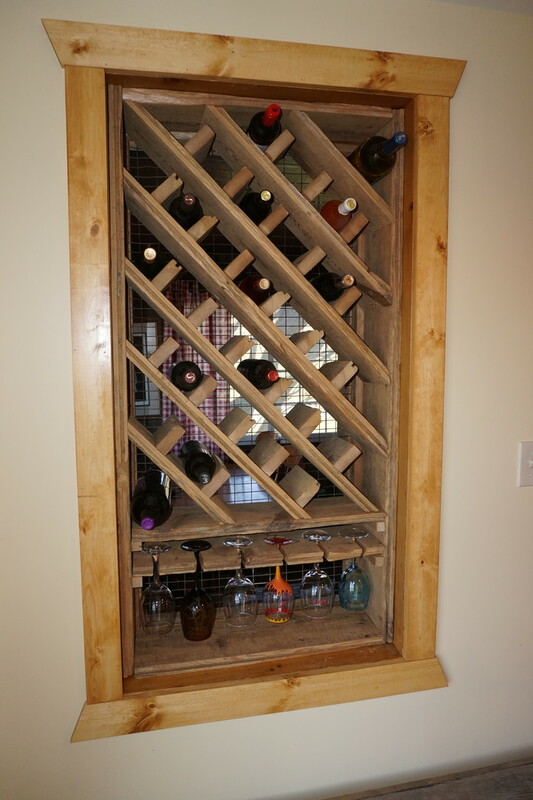 Using an old window frame as a base, we custom built a wine rack using old tongue and groove boards. 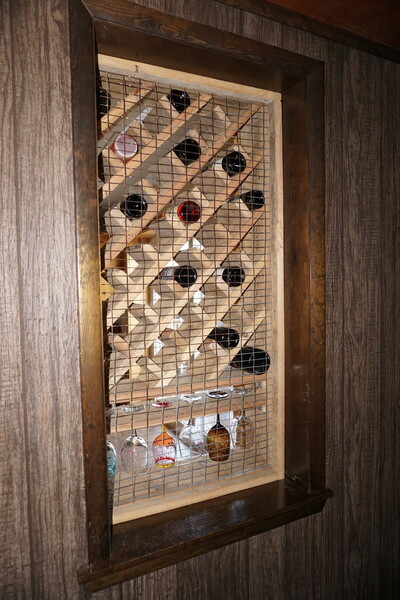 Heavy grid wire protects the bottles from sliding out the back, but still allows air circulation from room to room. 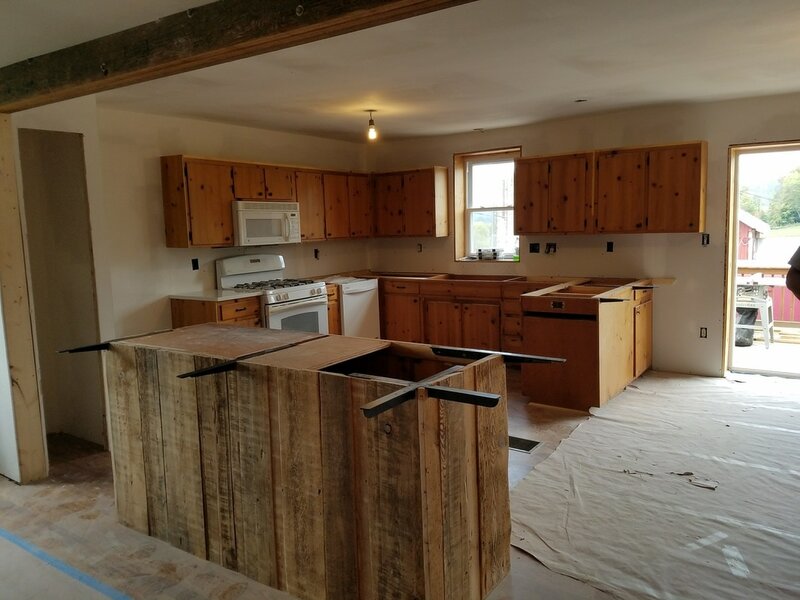 Website design by NDL Construction, LLC.